By Georgia Cheer. 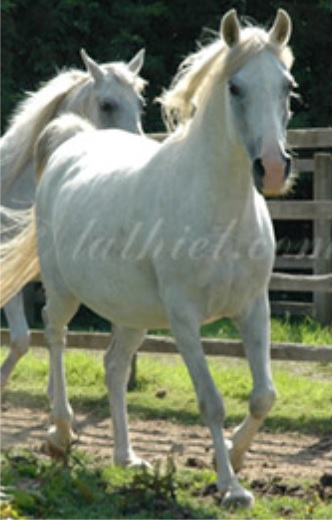 Fortunately for me, there is one pure Crabbet breeder in Ireland, Klinta Arabians. This was my first visit to Ireland, and I will certainly not forget the wonderful time I had with Gunilla and Geoff Hamer. Gunilla is a very interesting, lively, humorous and unique individual. Gunilla is Swedish by birth, but has traveled the world, living prior to her move to Ireland in Buch b. Frauenfeld, Switzerland, where she and Geoff kept a pet donkey named Oscar, who was raised by the Hamer’s from age nine days old through to his accidental death at age 21. Oscar was a donkey who thought he was human. Stories about Oscar could fill a small book, like his pension for gin and tonic. Sadly he passed away a few years ago so I did not ‘meet’ him. Gunilla also owns a Skye Terrier by the name of Paddy. Paddy was a champion show dog in his younger days and is her constant companion. By Tiffani McCarthy. Like a modern-day Canterbury Tales, the devoted pilgrims flowed to Crabbet Park in Sussex for the opening of the Crabbet Convention. The only problem was that Crabbet Park is now less Canterbury Cathedral and more Bodiam Castle, just a shell of its former glory and purpose. This did not deter the delegates, however. 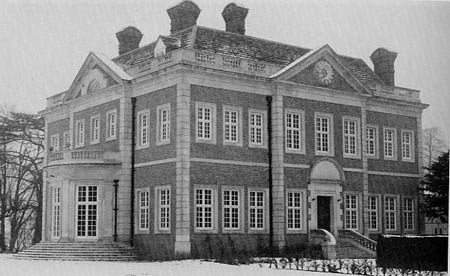 This was the ancestral home of their beloved horses. For a few moments all of the memories from countless books and film clips and for a lucky few actual time spent at the stud came together through the magic grout of the imagination.